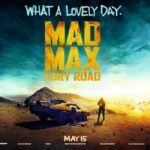 The Week in Movies discusses the last seven days in cinema – including the new Batman v Superman: Dawn of Justice trailer (and everyone’s thoughts on it), Trainspotting 2 being confirmed by Sony, Guardians of the Galaxy director James Gunn saying The Hateful Eight is Quentin Tarantino’s best film and much, much more. So there was a new trailer for Batman v Superman: Dawn of Justice this week. Like anything that pits two beloved superheroes against one another, the teaser has proved pretty divisive – as the Flickering Myth writing team’s reaction shows. Some think it incredible, citing finally-fulfilled childhood dreams of Batman and Superman fighting each other on the big screen. The rest reckon the trailer’s big reveal – the appearance of Doomsday as the final act’s antagonist – betrays the movie’s ‘Batman v Superman’ main event-promoting title. Luke Owen wrote a whole piece on that, and Anghus Houvouras made it the only subject of his Week in Disappointment. But it’s tough being DC. Both Batman and Superman are iconic, good-guy heroes. How do you get the audience to root for both? It’s a near impossible empathetic feat. There may well be more superhero trailer action in the next few weeks. Teasers for both Suicide Squad and X-Men: Apocalypse have been classified by the Alberta Film Ratings board. All the cool stuff happens in Canada. Aquaman doesn’t deserve a trailer. The poor sole (fish pun) only got a leaked action figure design this week. This is neither the time or plaice for fish puns. But back to that small, independent Civil War movie. The MCU’s Phase II Blu-ray box set has revealed that the ‘Sokovia Accord’ is actually the comics’ ‘Superhero Registration Act’. The film has also unveiled its previously hidden super power: marketing. Along with a new batch of Civil War images, Robert Downey Jr. has revealed he’s on Team Iron Man in real life, and Tom Holland has teased Cap’s appearance in his eventual Spider-Man solo movie. Elsewhere in Marvel, Creed director Ryan Coogler is reportedly in talks to helm Black Panther and Chris Hemsworth has spoken about a Hulk/Thor rematch for Ragnarok (expect a title rejig to Ragnarok: Thor v Hulk in the coming weeks). In big-Marvel-brainstorm-board-that-never-was news, Neil Gaiman revealed he and Guillermo del Toro pitched a “particularly brilliant idea” for Doctor Strange way back in 2007 and footage has emerged from the cancelled Avengers movie video game. At least we’ll always have Chris Pratt and Dave Bautista’s screen test for Guardians of the Galaxy. Even sets are done in post these days. Spare a thought for the 2,499 failed young Han Solo actors out there this week. A reported 2,500 have auditioned for the role in Phil Lord and Chris Miller’s Star Wars spin-off movie. If only they had original director George Lucas’ character motivation with them, who explained why Greedo shot first in the first Star Wars movie. Like the Prequel Trilogy, we’ll just pretend he never said that. 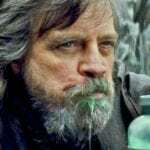 The Force Awakens is being tracked to make $3.5 billion at the global box office – which is the sort of monetary figure Victor Frankenstein couldn’t create even if it stitched the corpses of Harrison Ford, J.J. Abrams and Daisy Ridley together. The Max Landis-written film has had one of the worst opening weekends of all-time. He’ll make another Chronicle-level movie eventually. But what will be the best movie of 2015? James Gunn saw The Hateful Eight this week, posting (in his usual hyperbole) that it’s Quentin Tarantino’s greatest so far. The New Yorks Critics Circle, however, have awarded their Best Picture to Todd Haynes’ recently released Carol. Jennifer Lawrence seems pretty convinced that it’s anything by frequent director-collaborator David O. Russell, asserting she’ll work with him until she dies. From anyone else, that would be a creepy promise. Oddly, though, the most intriguing movie news this week came from an officially announced sequel – Trainspotting 2. Because Hollywood needs more strong heroine characters. Ugh, you might think. Sony are cash-grabbing again. Trainspotting is a classic! How dare they try to top it! Oli Davis is the Co-Editor of Flickering Myth, curator of its Super Newsletter, Lead Producer of Flickering Myth TV and host of the Flickering Myth News podcast. You can follow him on Twitter @OliDavis.